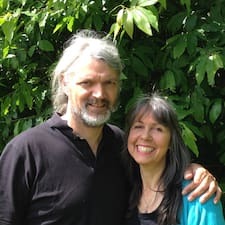 Sally Stonier and Chris D'Cruz have an abililty to create together, they have created the Spiral Studio Accomodation, The Woodland Glamping Retreat Centre, The Woodland Healing Centre and they work together and individually on mind/body and soul. 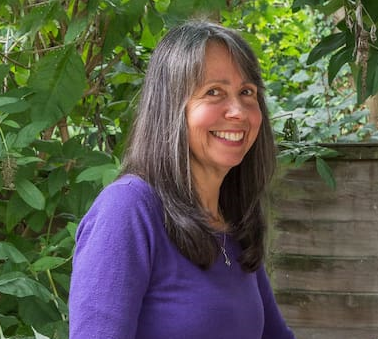 Sally has been teaching dance, movement and healing for over 25 years. Sally holds a warm, nurturing energy and teaches with openess and love. Sally has a thorough grounding in these techniques, having revealed the joy and passion in her own life through the use of these methods. She teaches with clarity and through a personal connection, creating a safe space for people to celebrate the fun and joy in dancing, or to grow and heal. Many students have gained confidence and self-esteem and have gone on to teach or perform through attending Sally's dance and movement classes. Her aim is to provide an opportunity for you to express the very best in your life, whatever you choose to do with courage and clarity. Chris does individual sessions and groups in Rebirthing Breathwork and Relationship Guidance. More recently he has also built the Wooden Glamping Network (available on AirBnB) with compost toilets kitchen area. He loves to create with wood and will be holding workshops on Green Wood working. Chris is also qualified to teach nutrition, which he is passionate about and has a vast knowledge in the subject as a result of his passion to know and understand how diet affects our health, well-being and awareness. Chris and Sally work togethter doing one to one sessions and groups in rebirthing breathwork and relationship work. Sally is a gently spoken unassuming woman with eyes that just simply take care of you. Chris is a tall man whose big hugs I have come to know and love. There is a rock solid strength to Chris, a stability you can lean on, really lean on and feel held. But this belies perhaps the gentlest, most loving man I know.